The T Bar T Ranch is strategically located on the eastern mountains of Sonoma in the Alexander Valley AVA, and ranges in elevation from 400 to 1,100 feet above sea level. The soil is very restrictive to root growth, which promotes low to moderate vigor creating wonderfully chewy and balanced mountain tannins. This AVA is sheltered from the influence of the nearby Pacific Ocean by the low-lying hills northeast of Healdsburg. 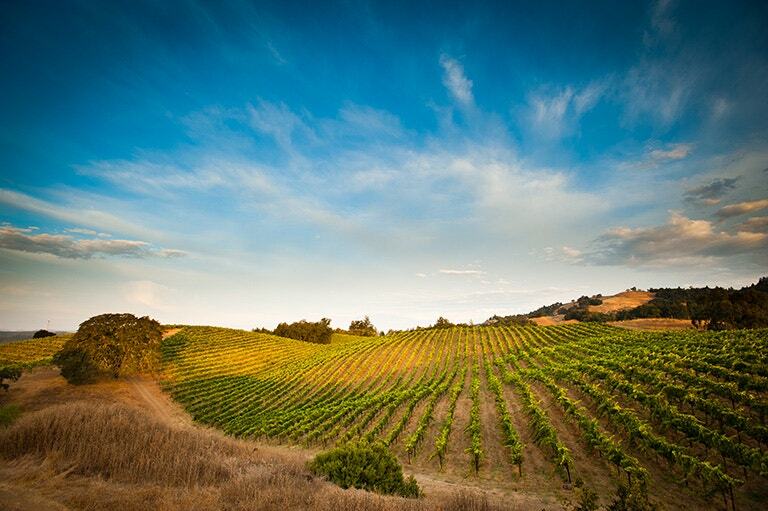 During the day, the Alexander Valley is one of the warmest areas in Northern California, but at night experiences a wide diurnal temperature variation. 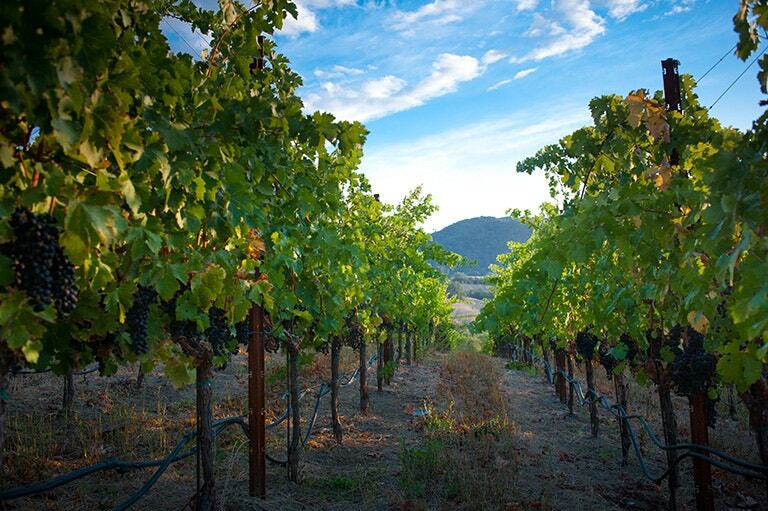 This allows for a long, even growing season for our Cabernet Sauvignon and Sauvignon Blanc. 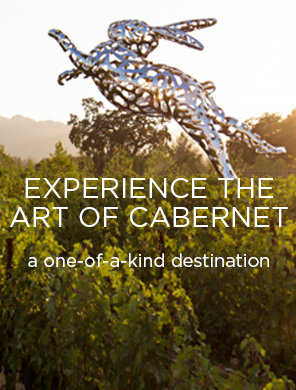 This vineyard produces Cabernet Sauvignon that is classically fruit-forward, supple, and displays notes of dark opulent fruit with well-balanced acidity. In white wines, such as our T Bar T Ranch Sauvignon Blanc, this vineyard produces well-ripened, ultra-concentrated fruit with characteristics of white peaches, pear, and red apple.